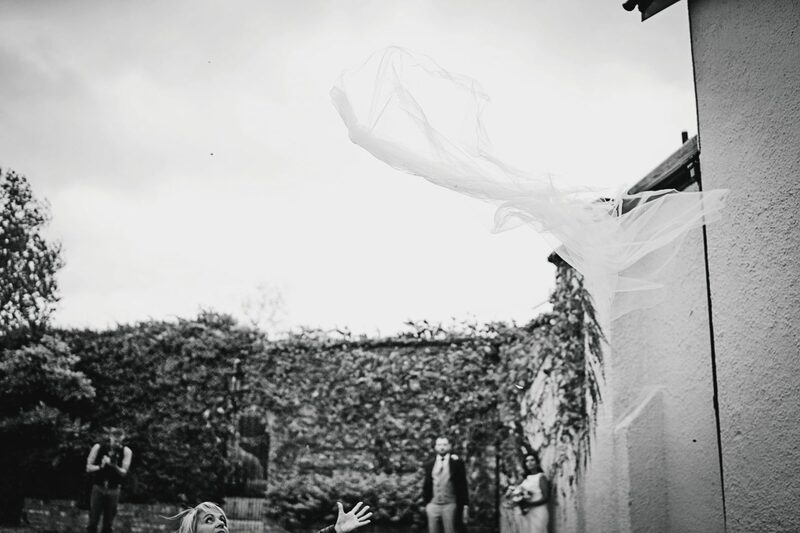 To say it was a windy wedding would be an understatement, but luckily the sun didn’t let us down. 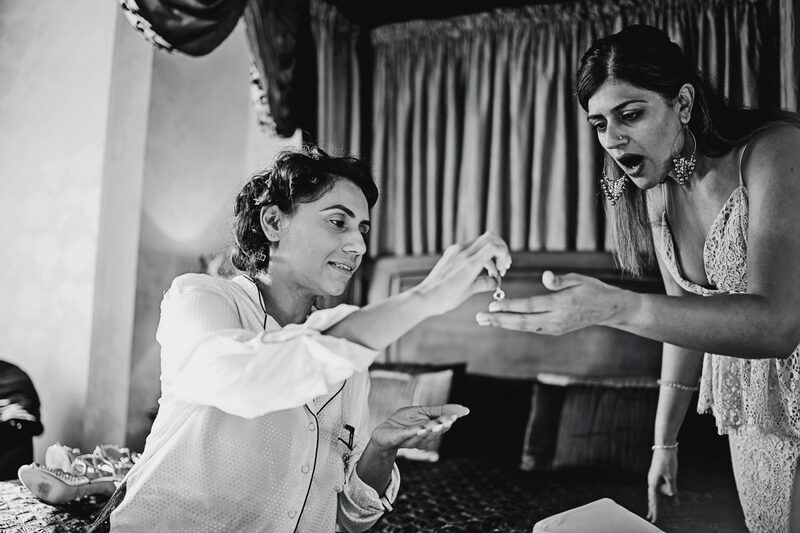 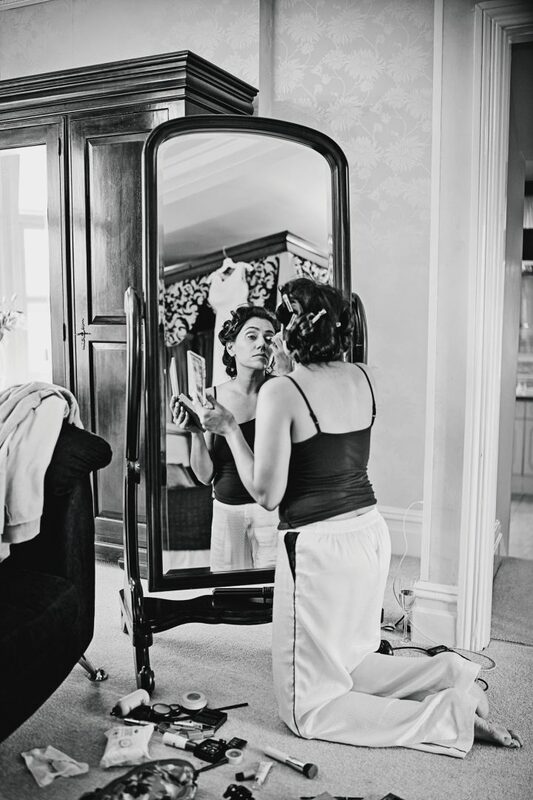 A quick hello to Ian then over to the bridal suite where we found Nisha applying her own make-up, and what a great job you did…stunning! 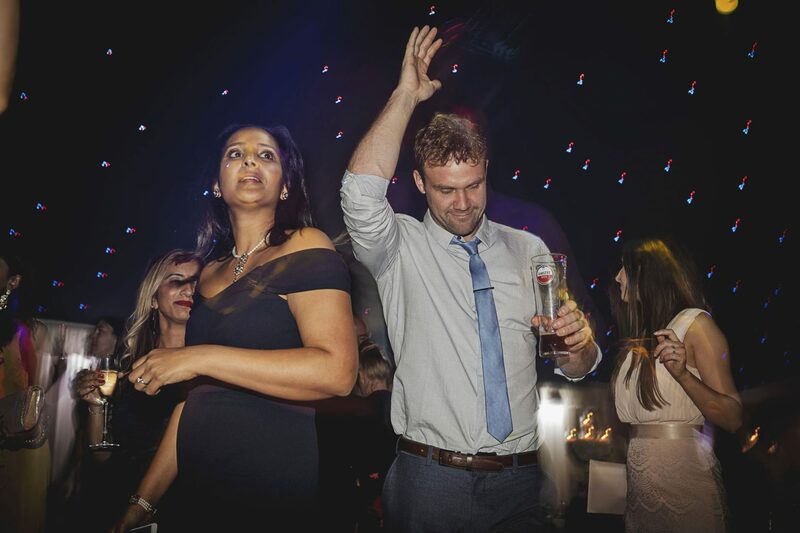 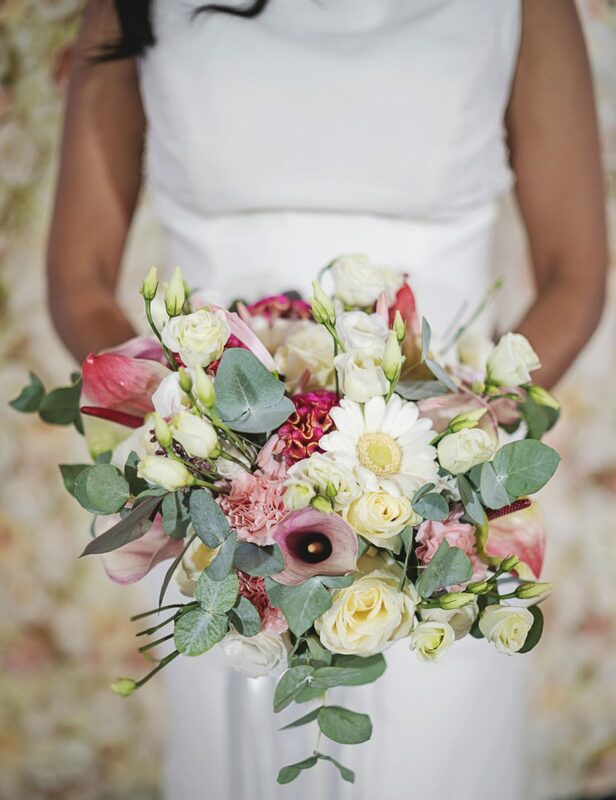 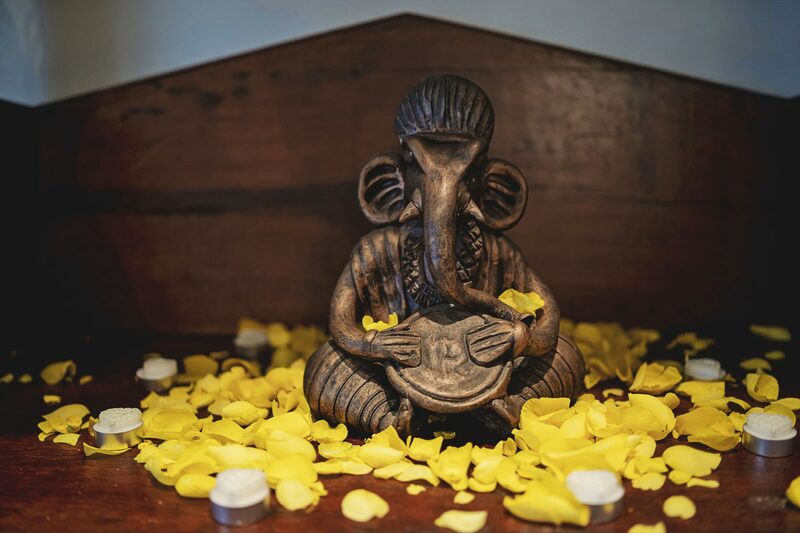 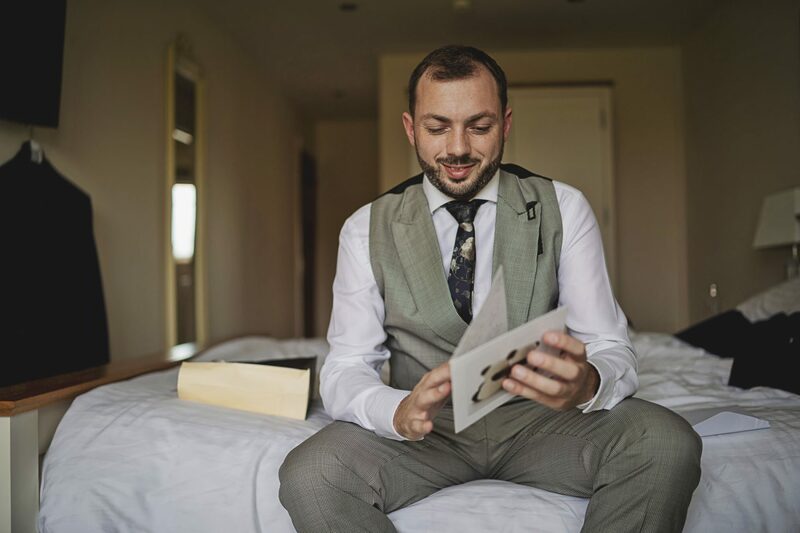 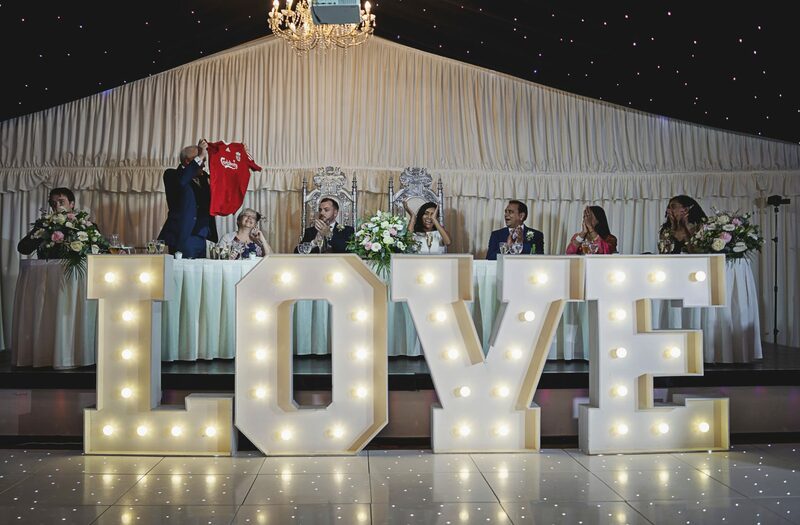 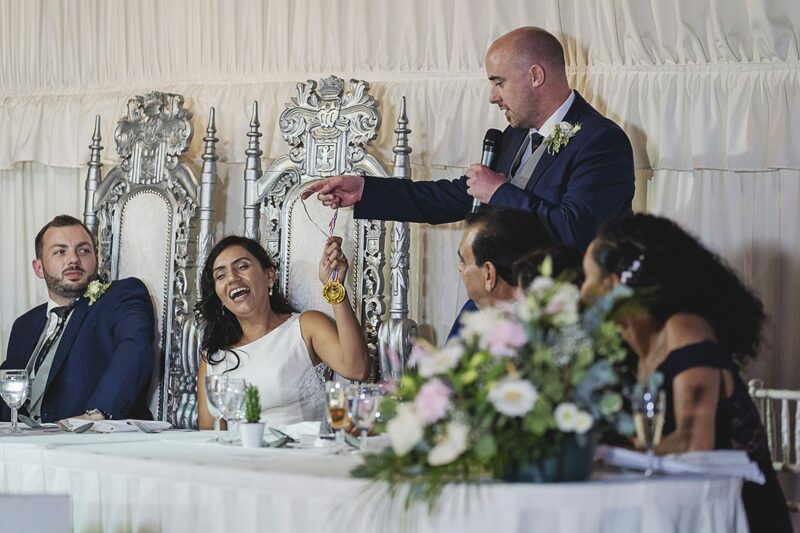 After a few pictures of Nisha’s dress, shoes and bouquet it was a dash back over to Ian, where he was just opening his beautiful gift from his future wife…great taste Nisha. 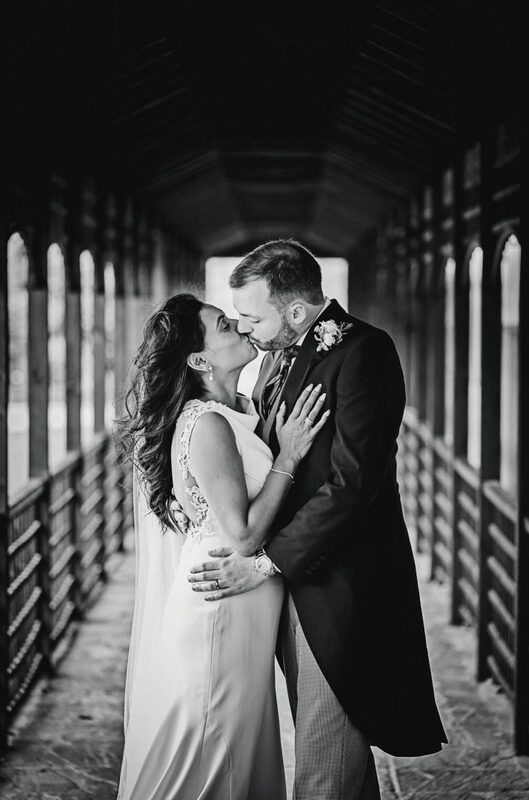 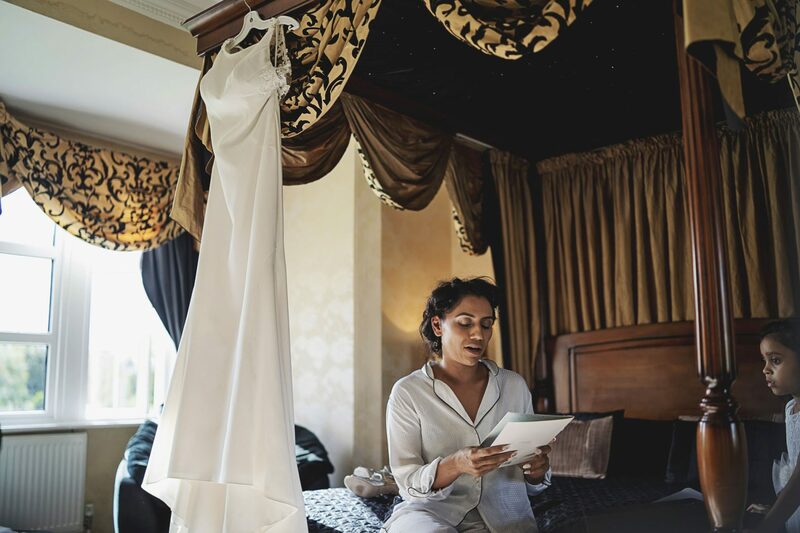 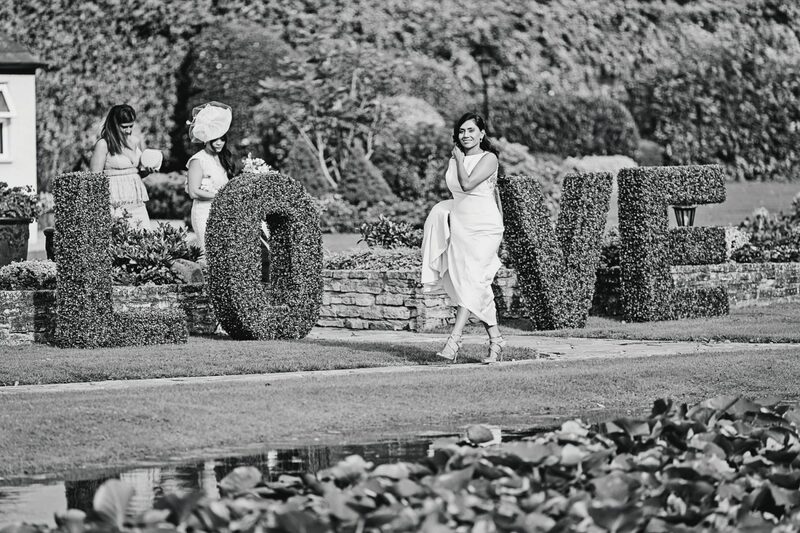 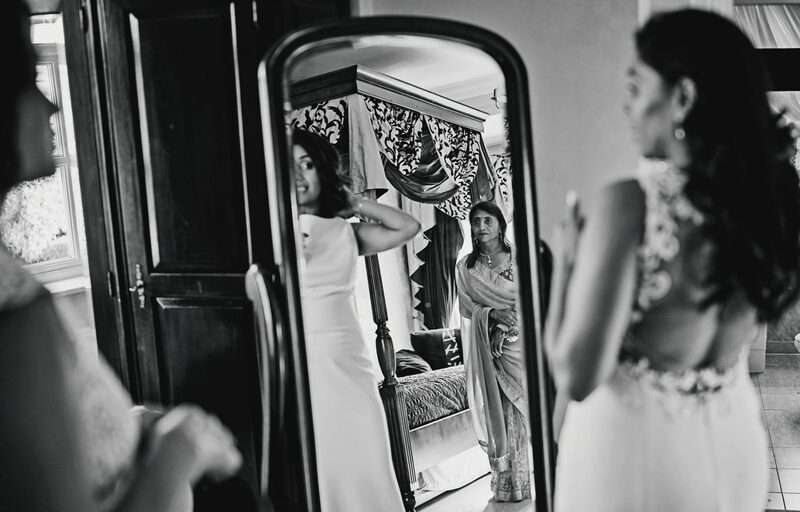 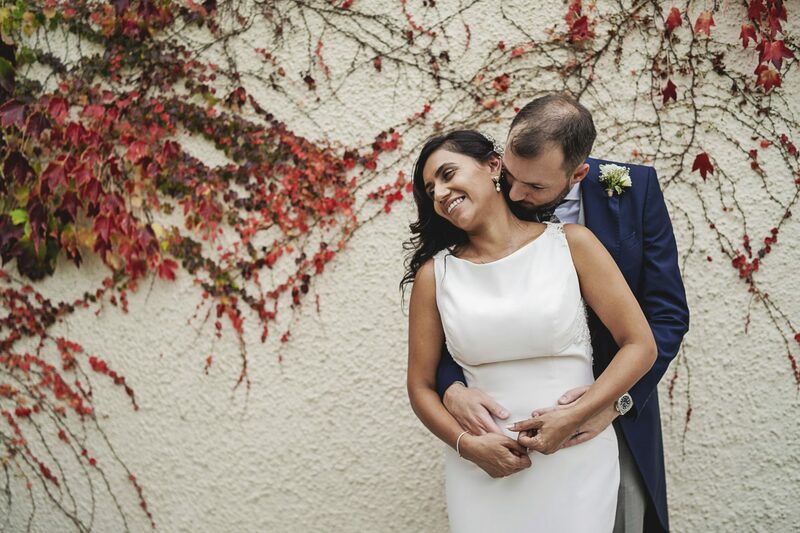 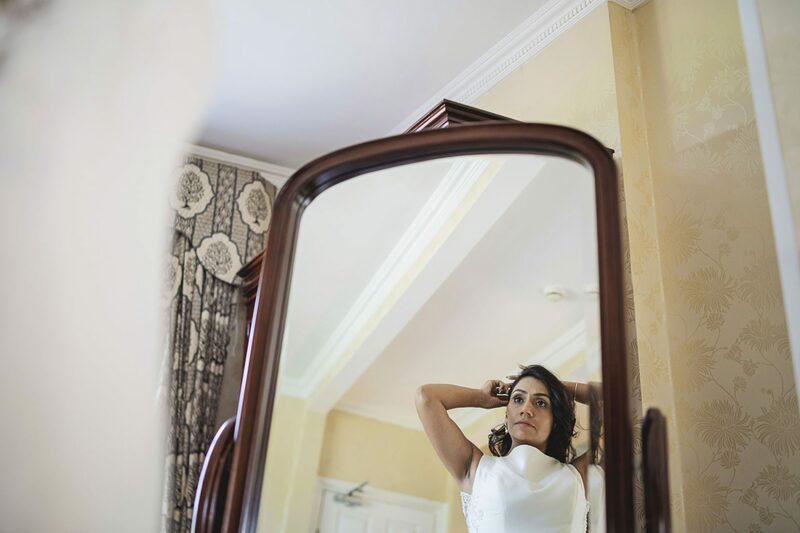 Before we knew it, it was time for Nisha to step into her beautiful dress by Clifton Brides. 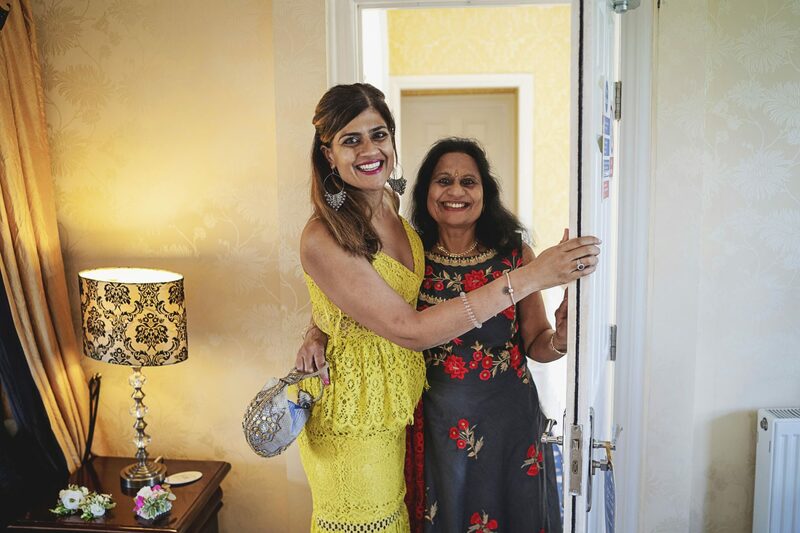 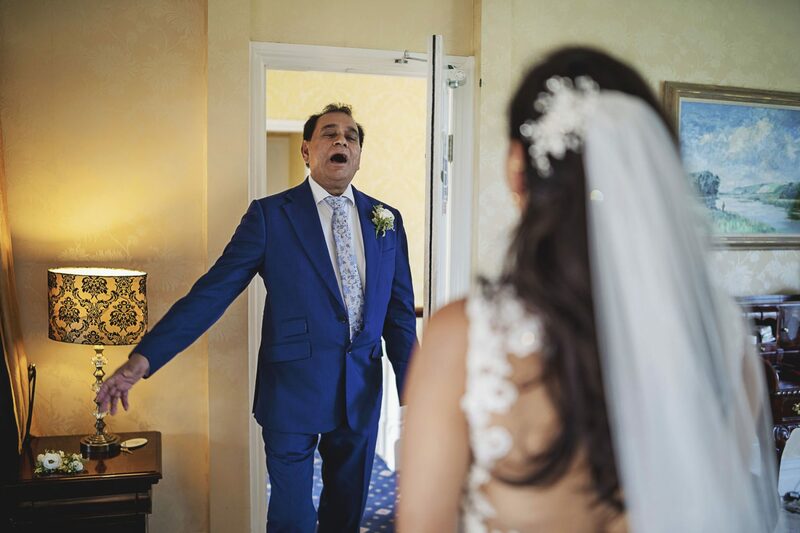 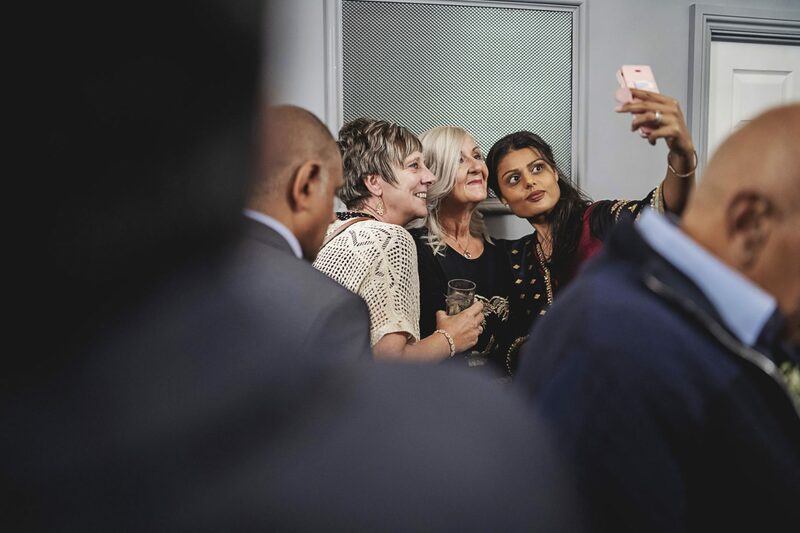 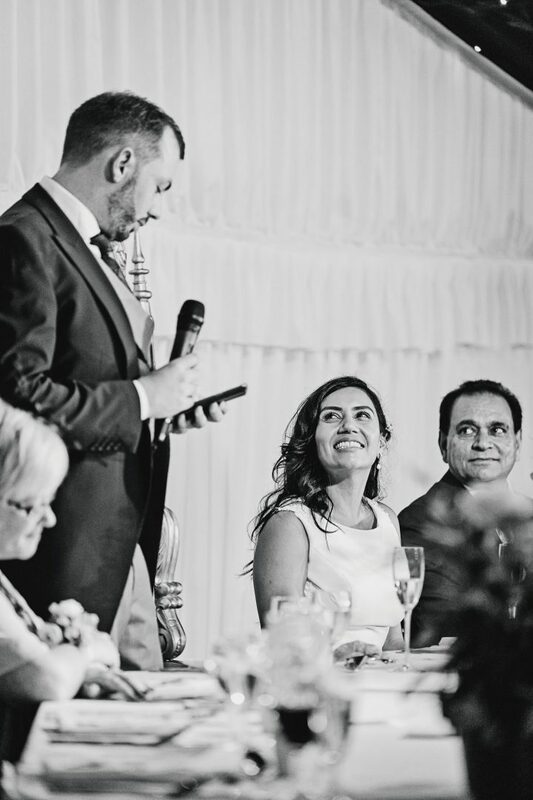 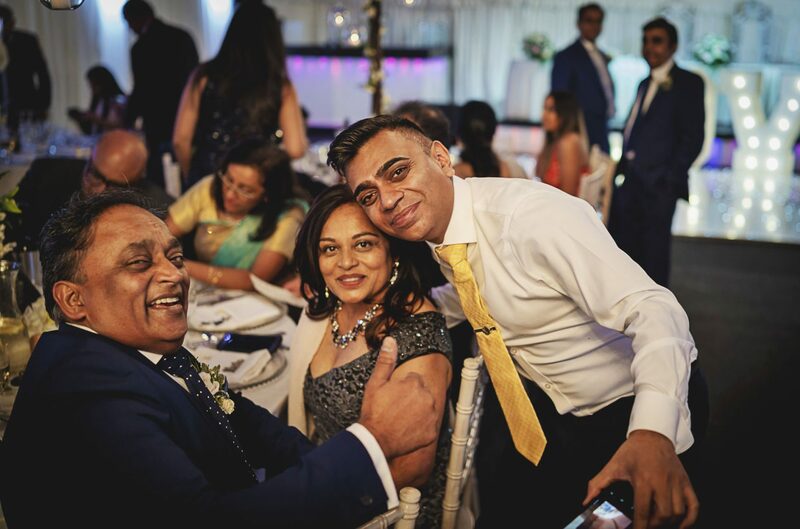 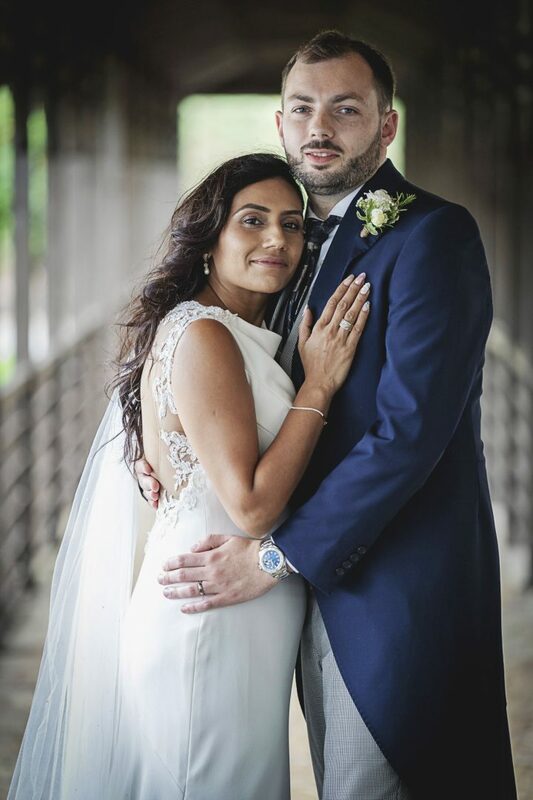 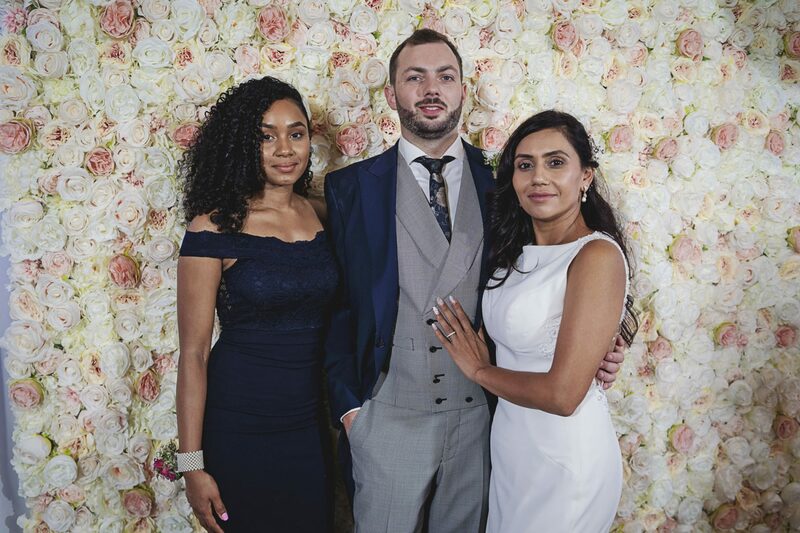 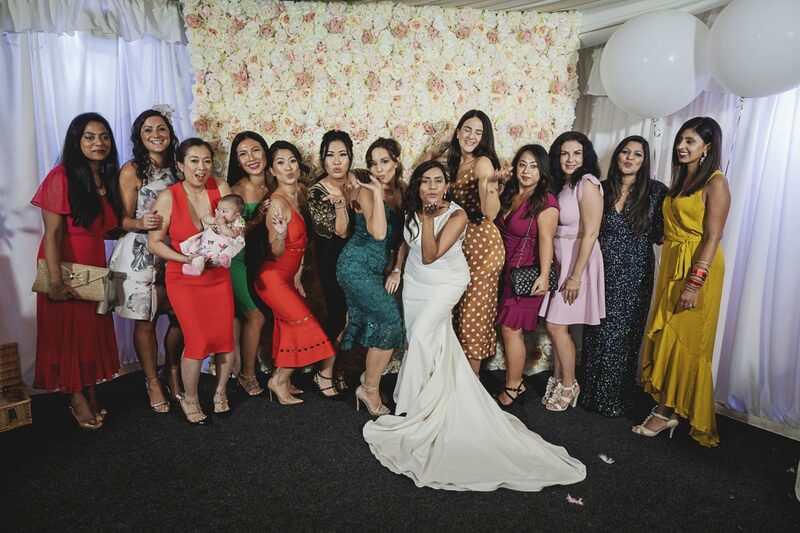 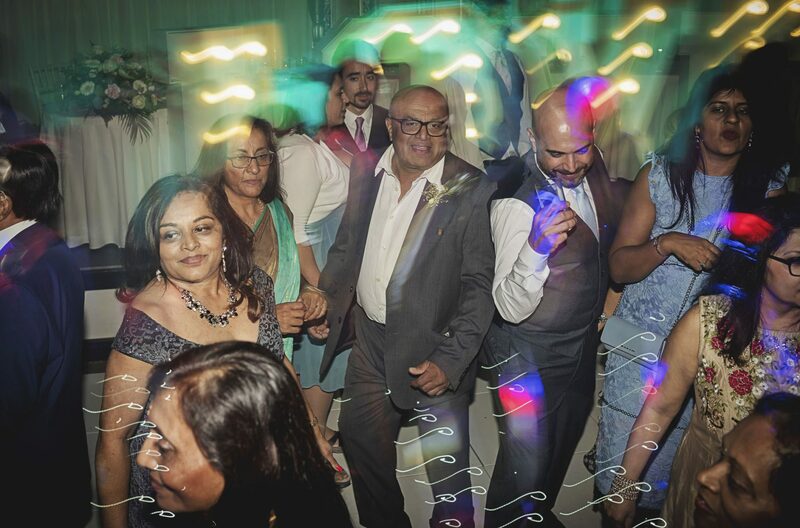 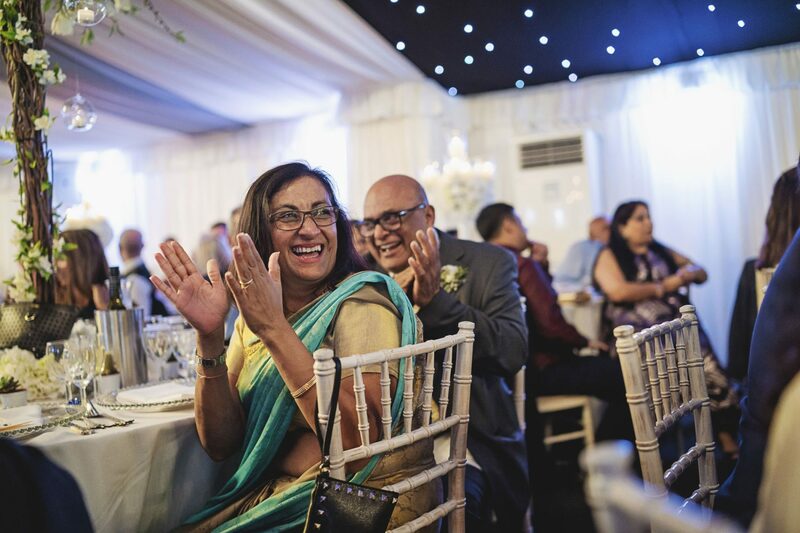 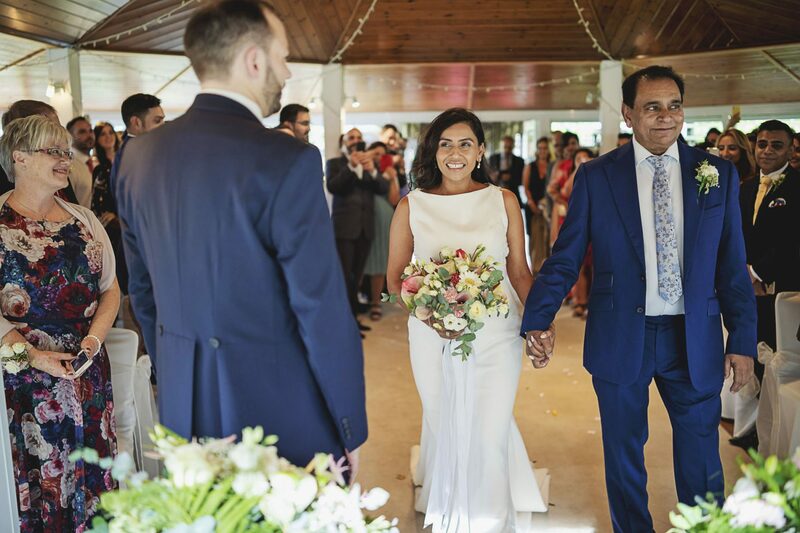 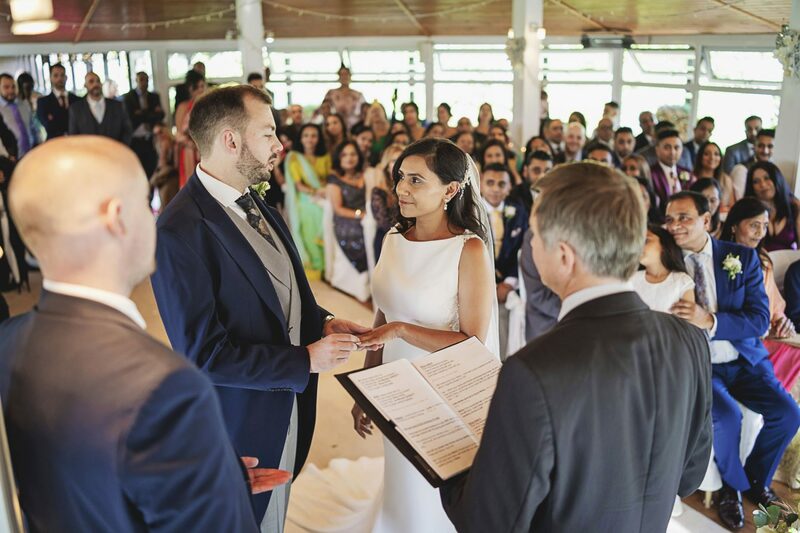 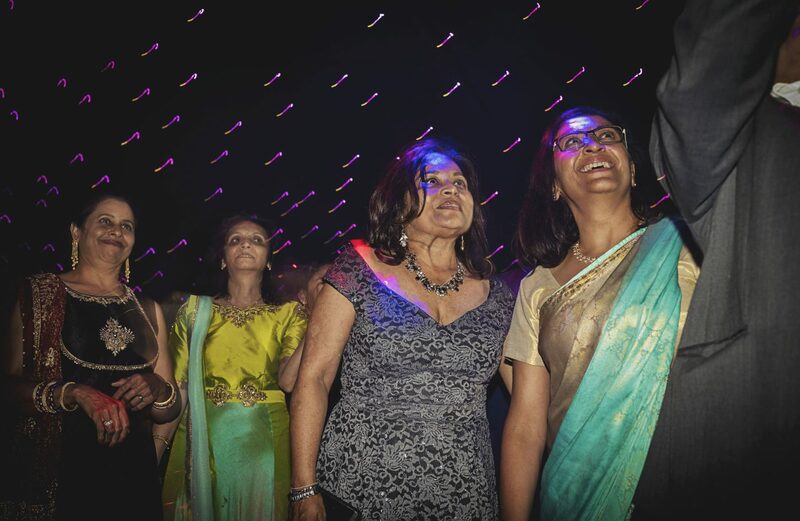 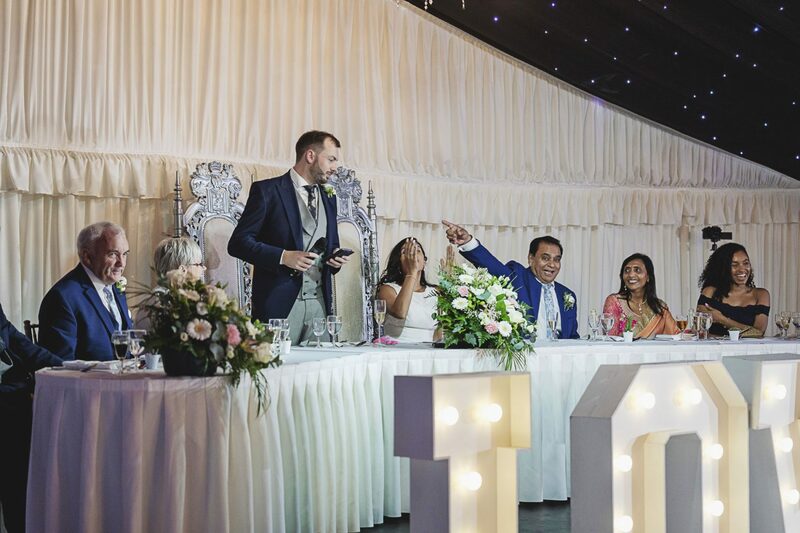 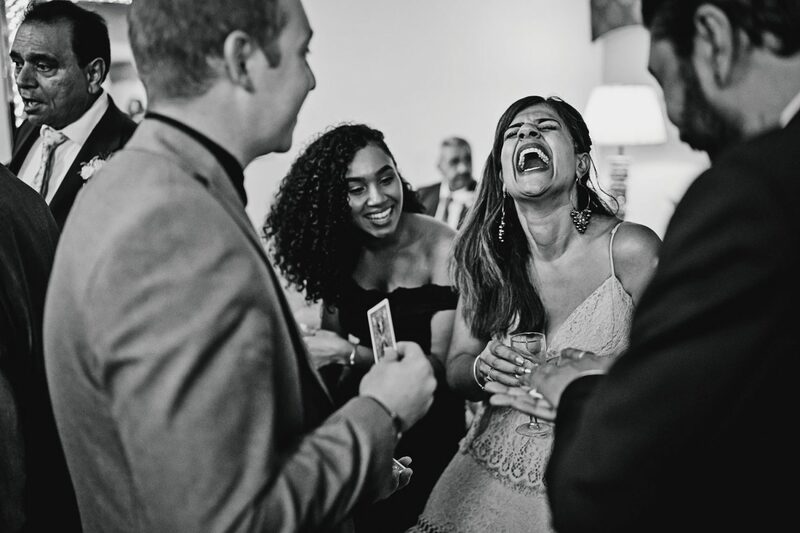 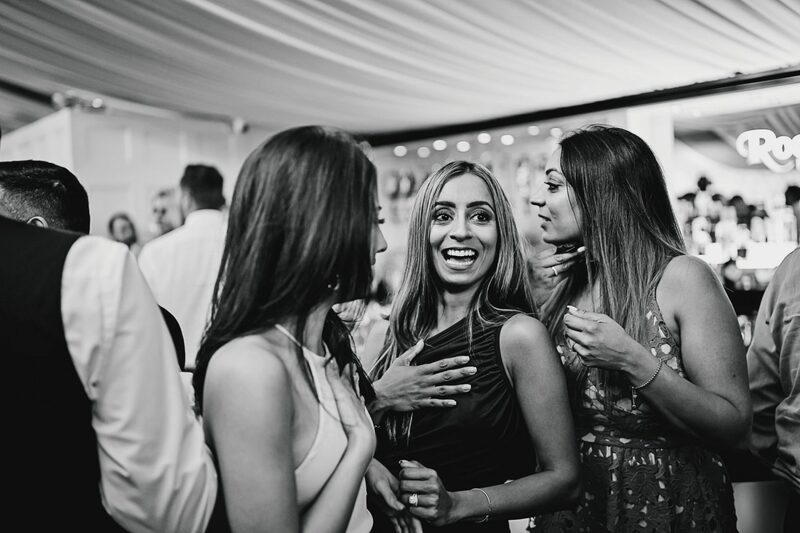 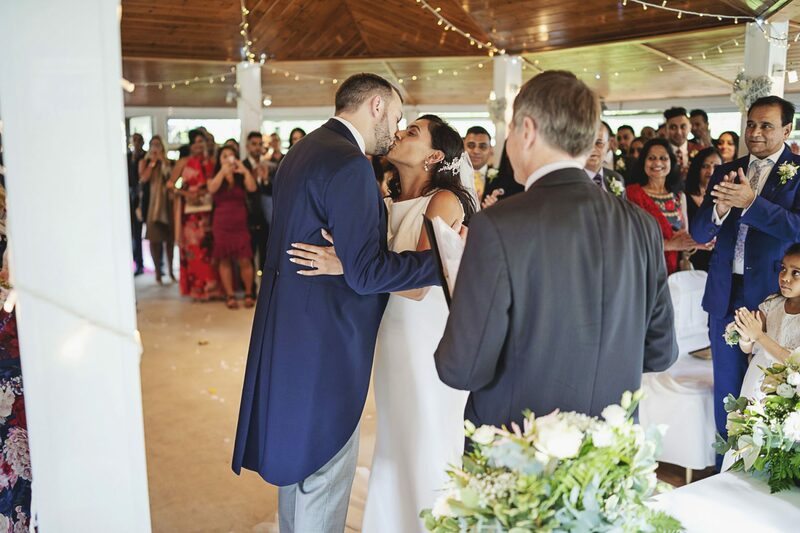 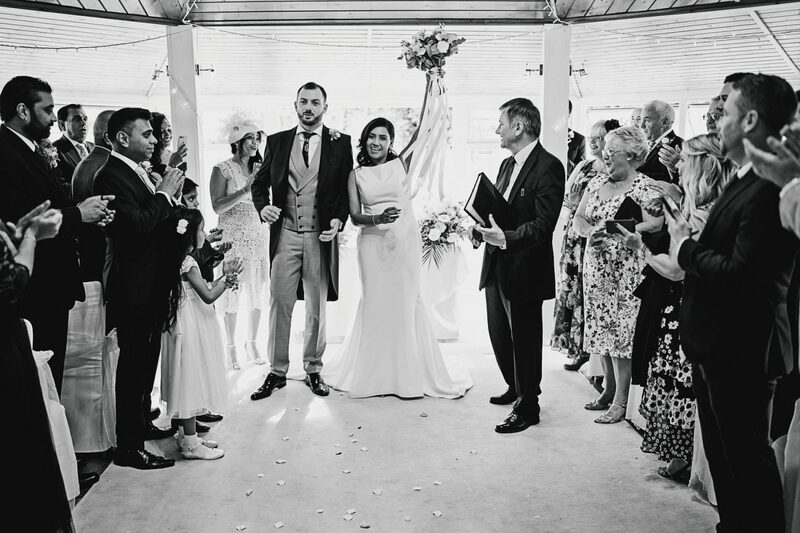 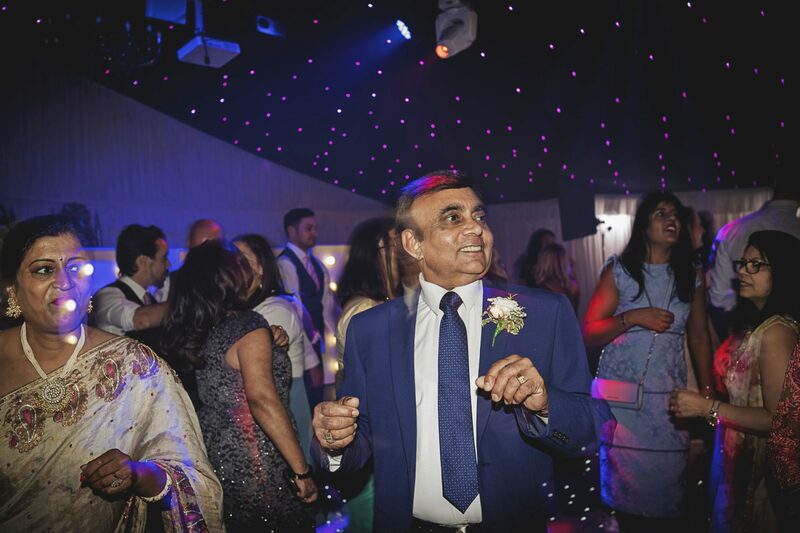 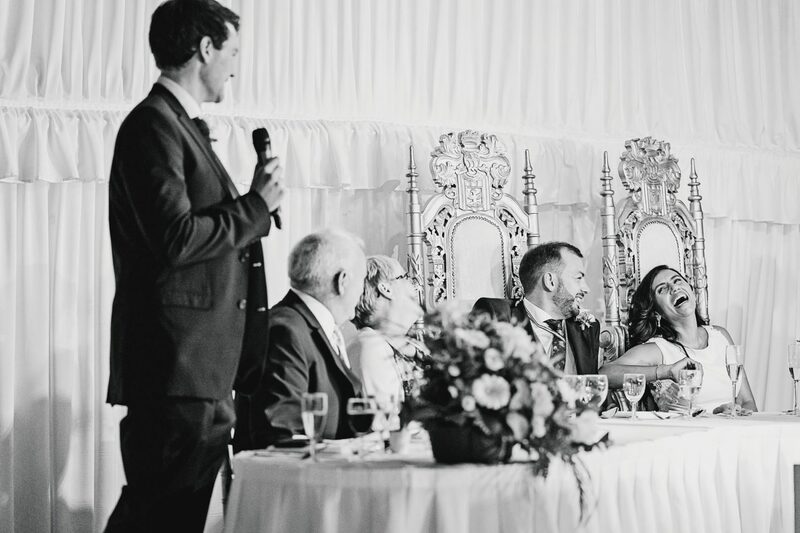 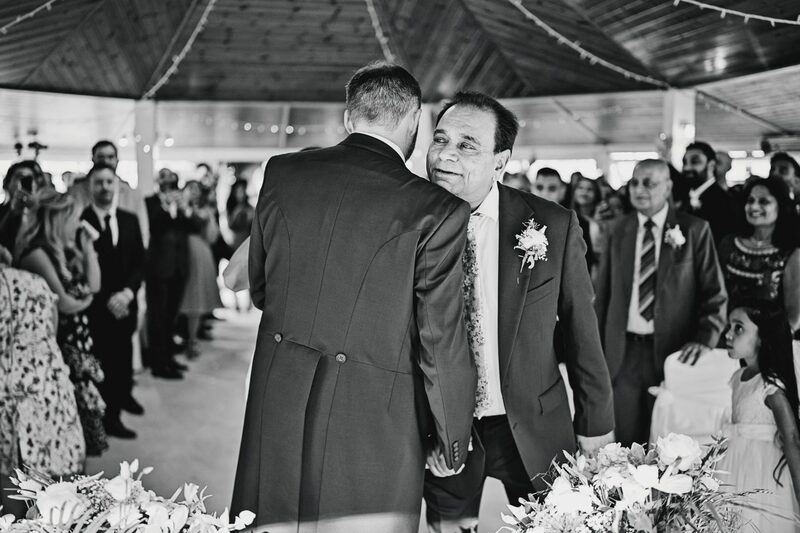 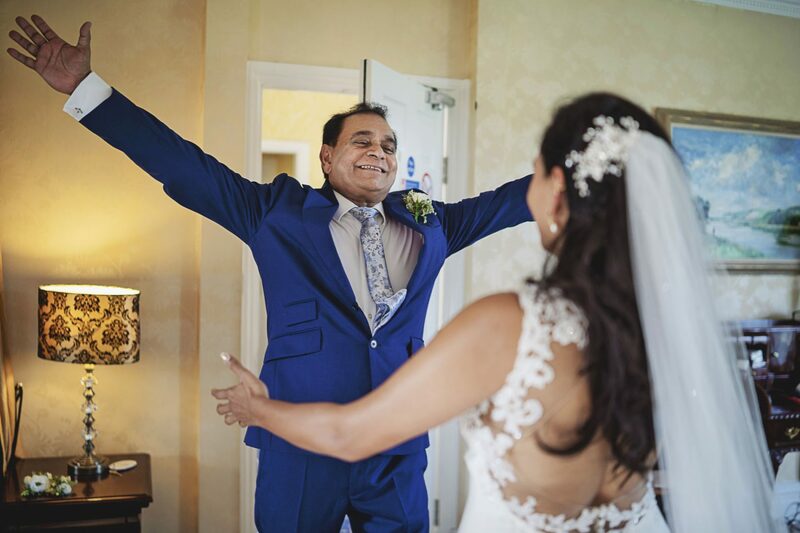 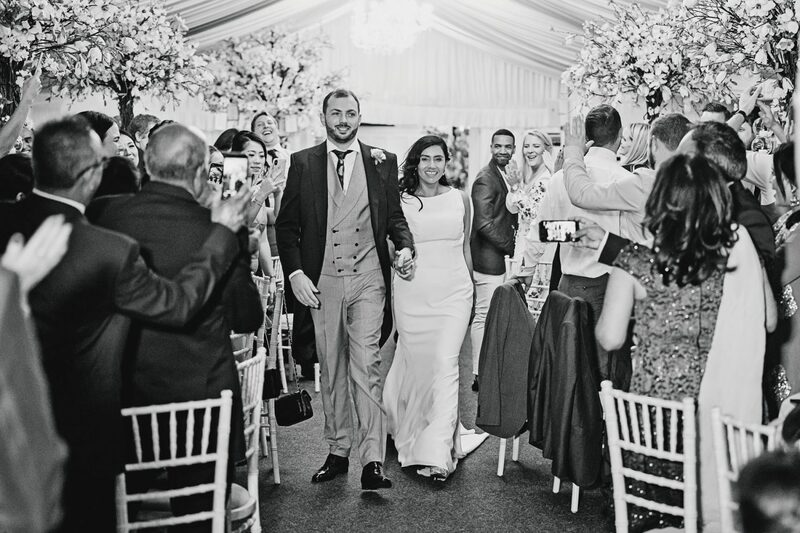 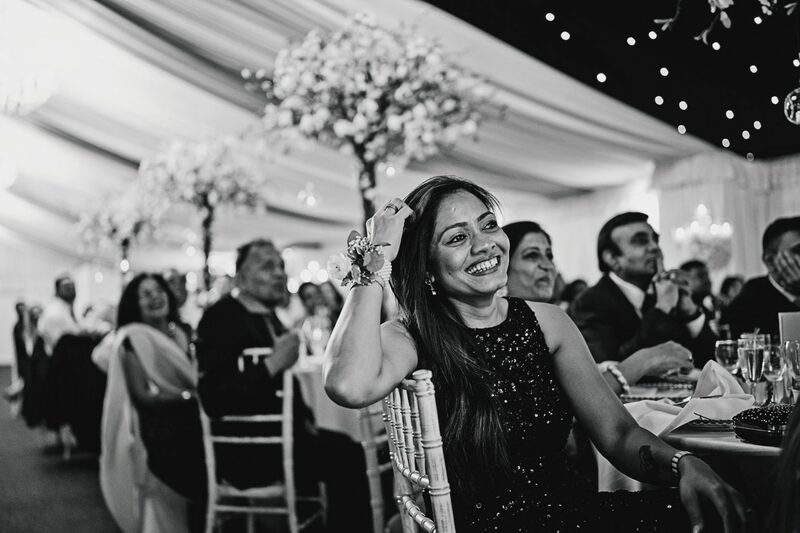 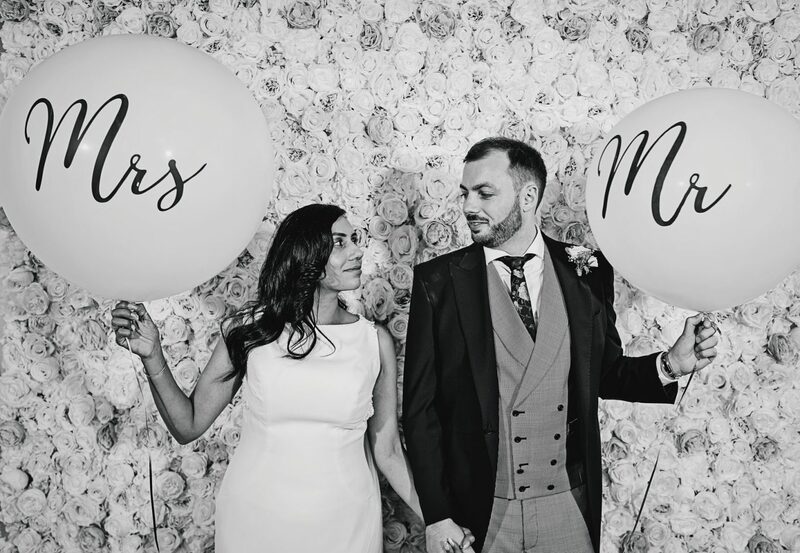 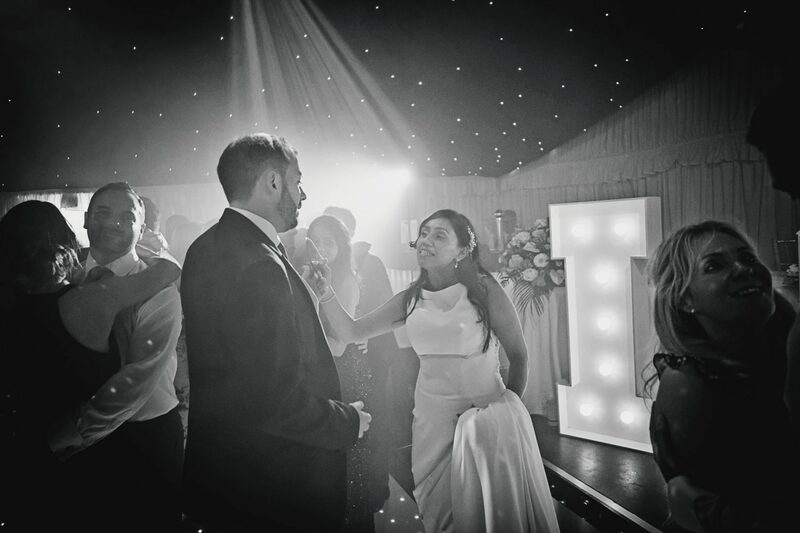 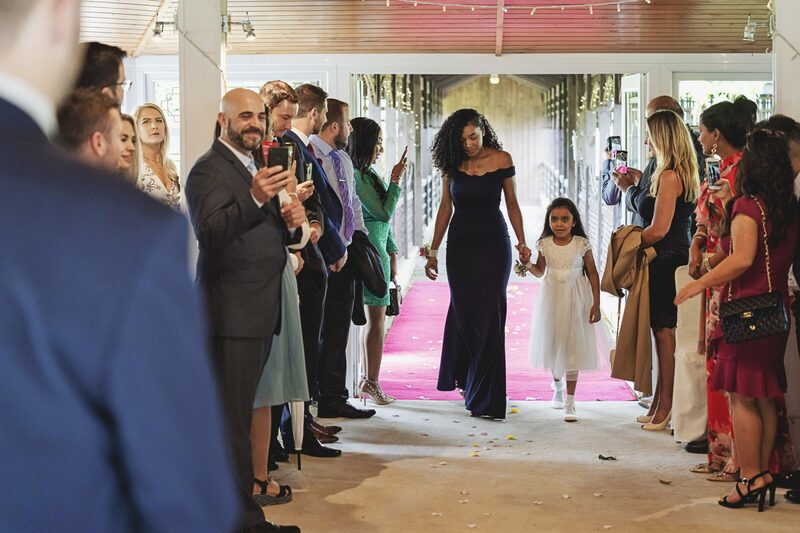 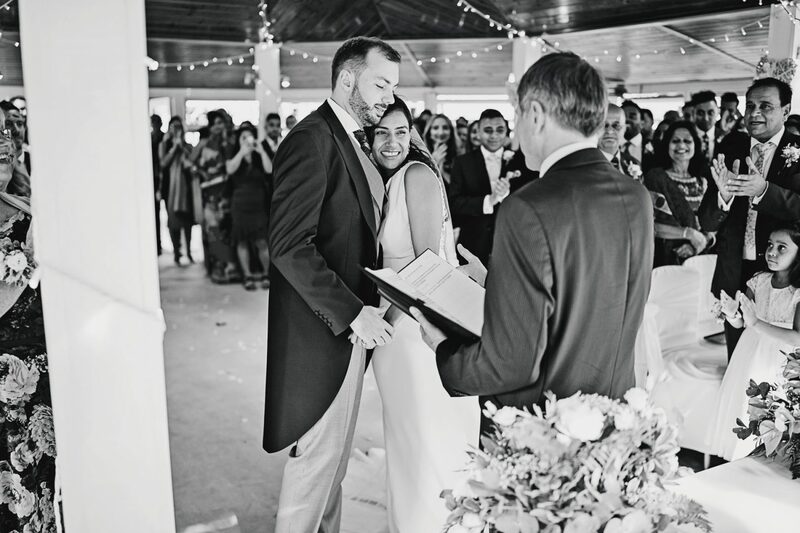 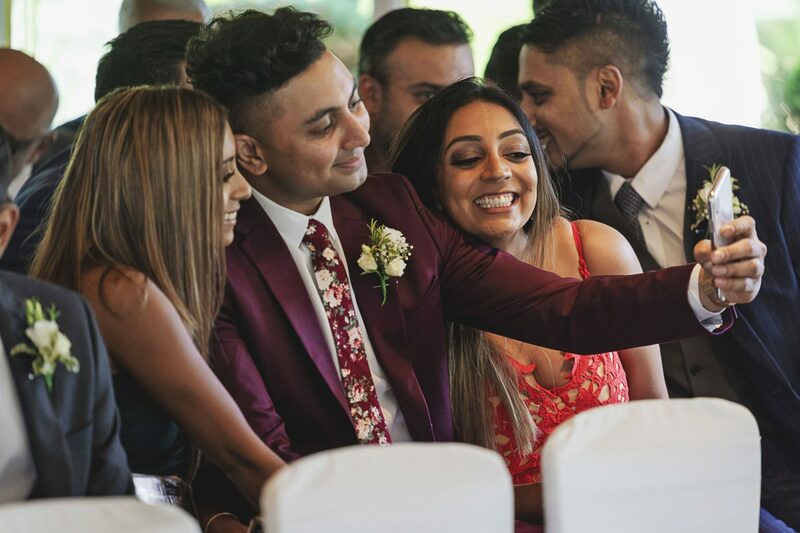 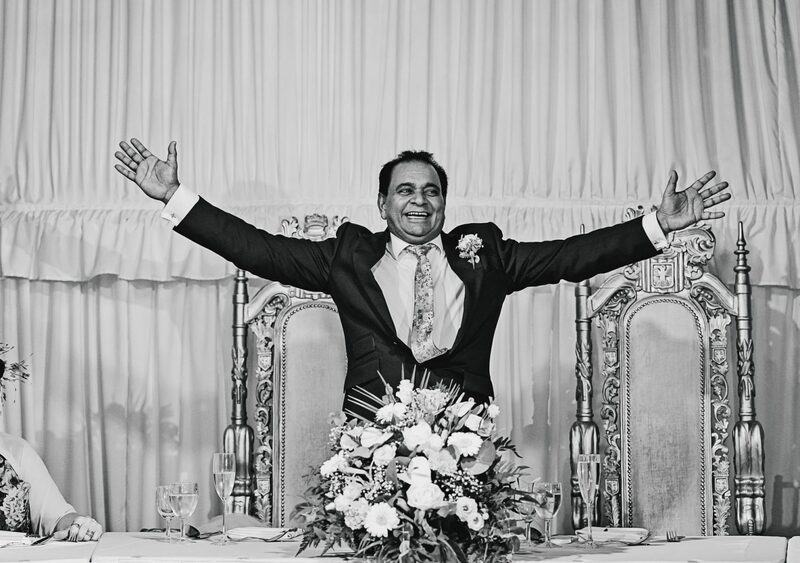 With the ceremony room over flowing with friends and family it was the moment for Nisha to make her entrance on the arm of her very proud father. 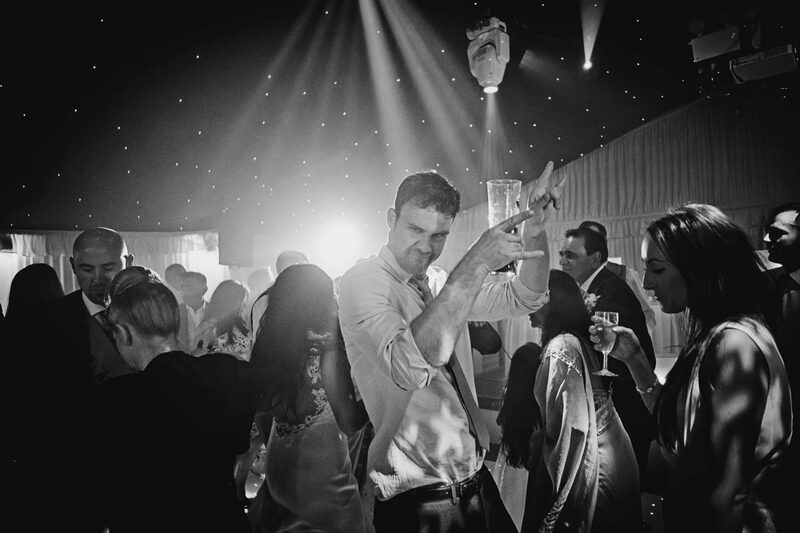 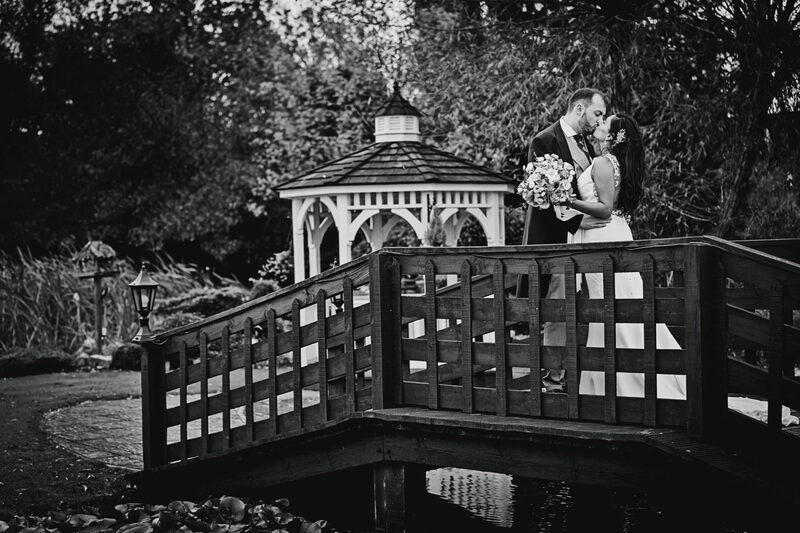 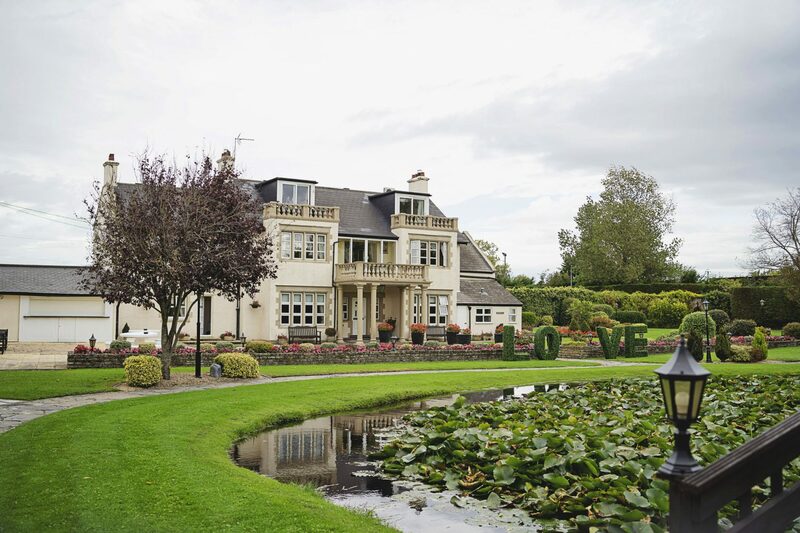 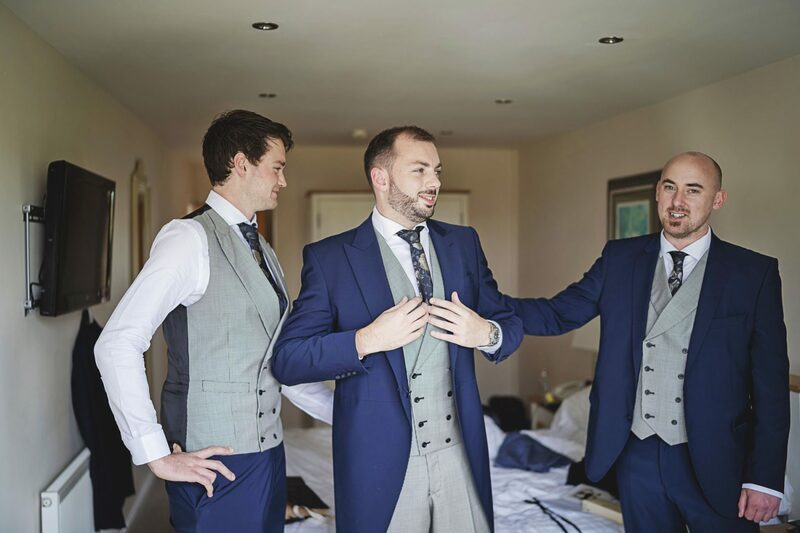 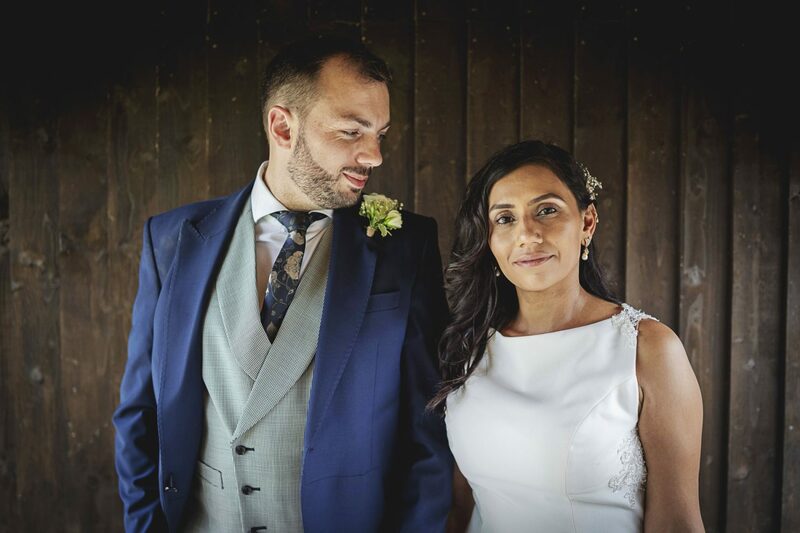 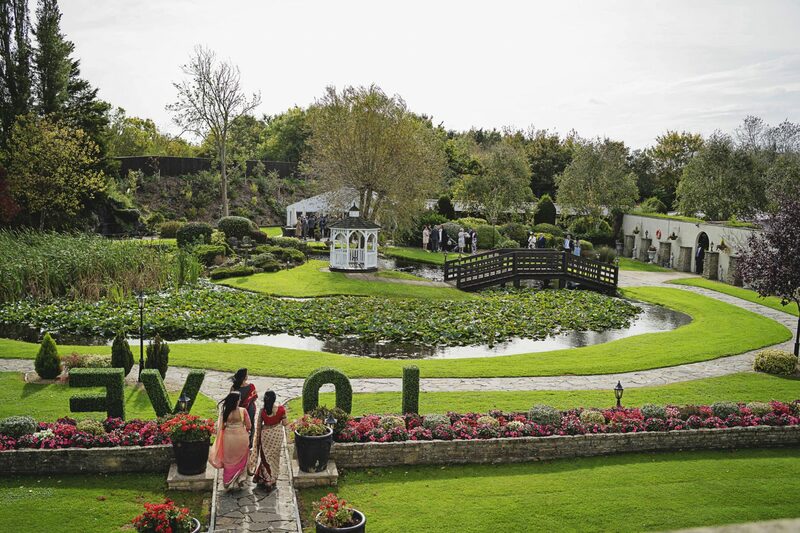 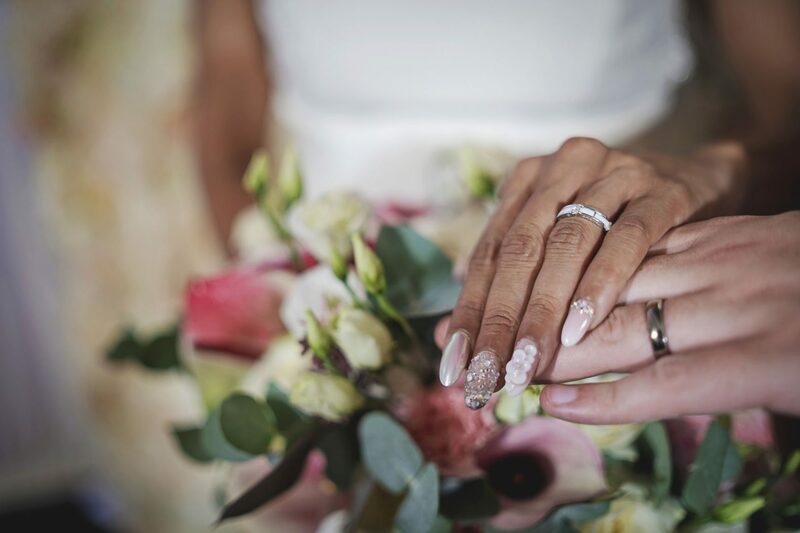 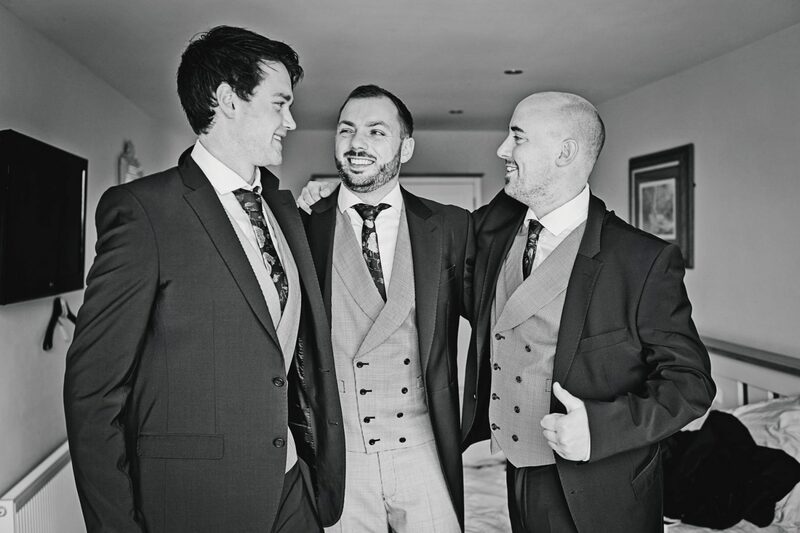 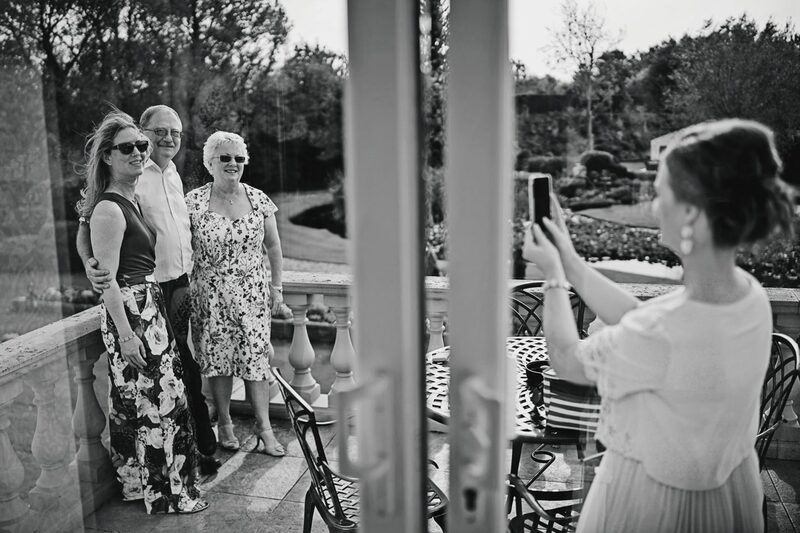 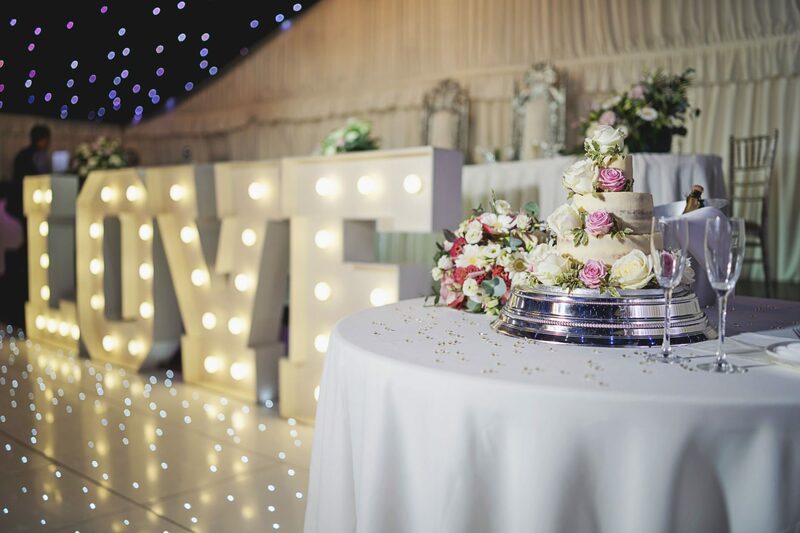 With the lovely ceremony over and without a hitch, the new Mr and Mrs Gargett stepped out onto the beautiful grounds of Rookery Manor with all their guests following behind, gathering for the group shot followed by champagne and canapes. 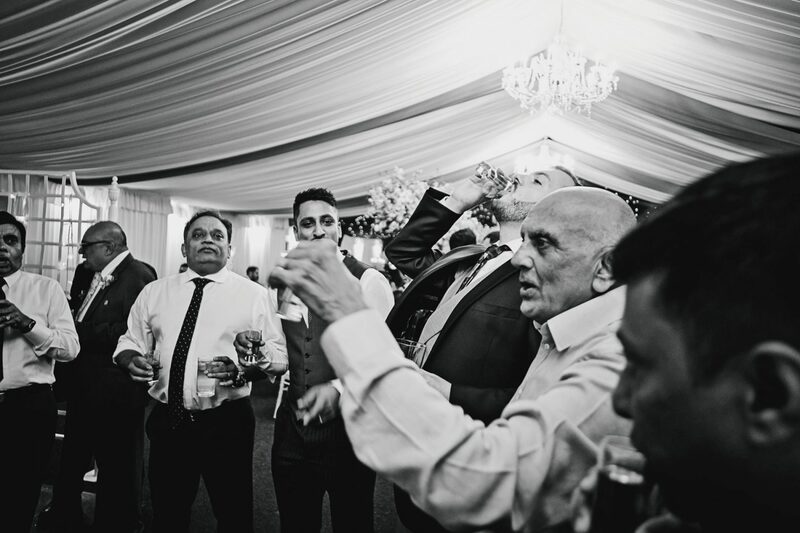 A quick drink and a mingle with their guests and it was time to take some more pictures. 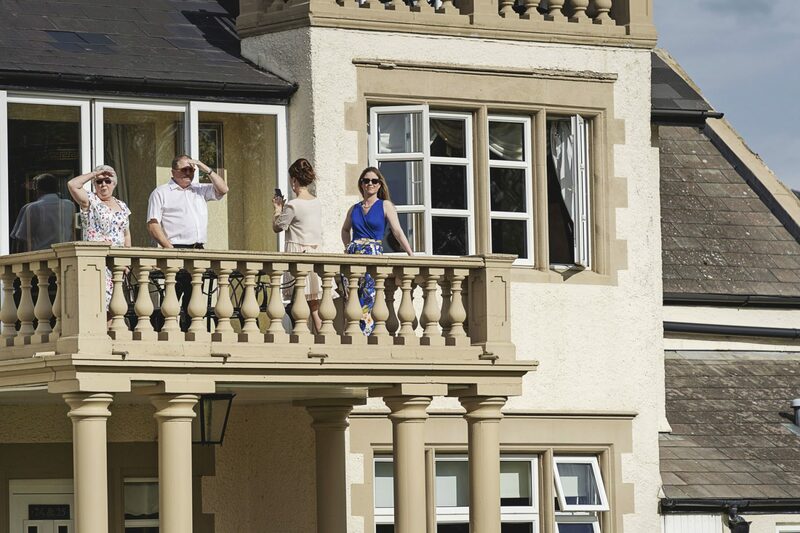 With the wind very much against us, sheltered areas were high on our agenda. 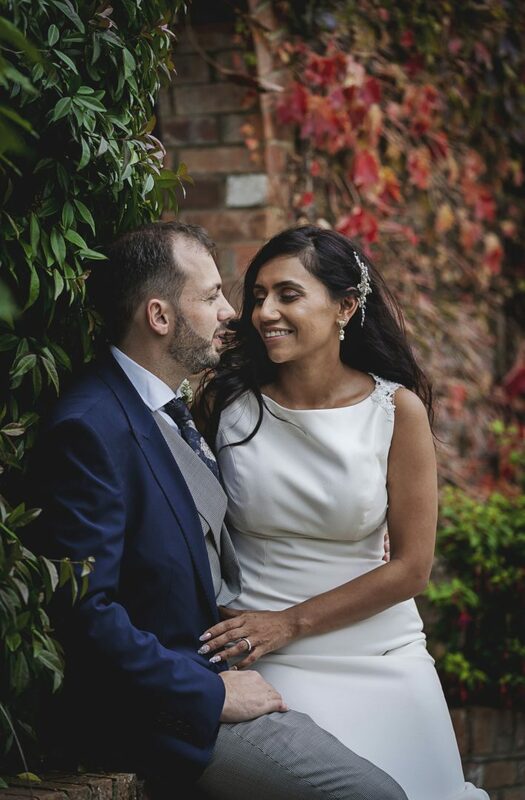 With everything going to plan there was a big gust of wind that whipped Nisha’s veil straight out of hair, a quick sprint from me and it was safely back in place! 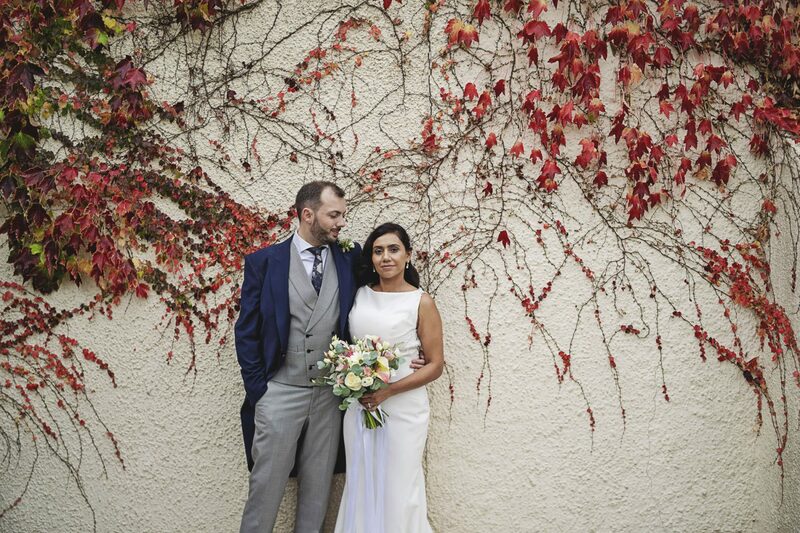 Back to the beautiful breakfast room which looked amazing with every little detail carefully thought of, including a flowered wall, love letters and ornamental trees as centre pieces. 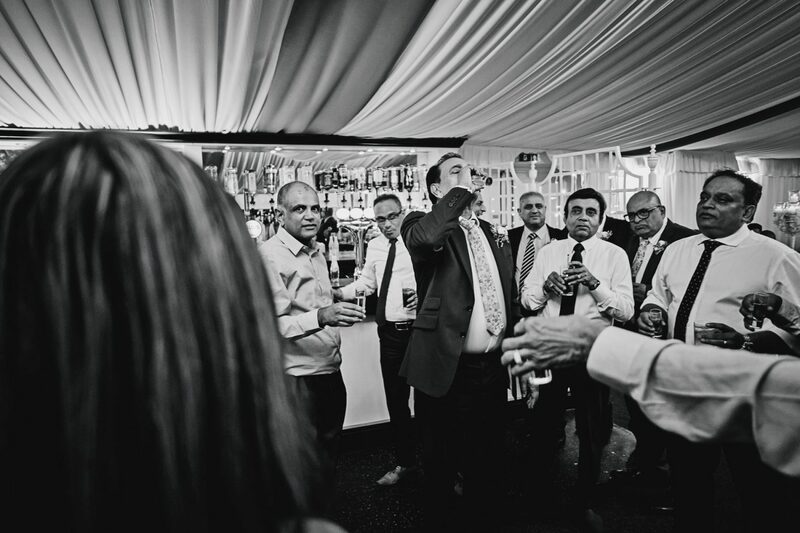 Before sitting down to eat there was entertainment by the great Warren Singer wowing everyone with his mind-blowing tricks! 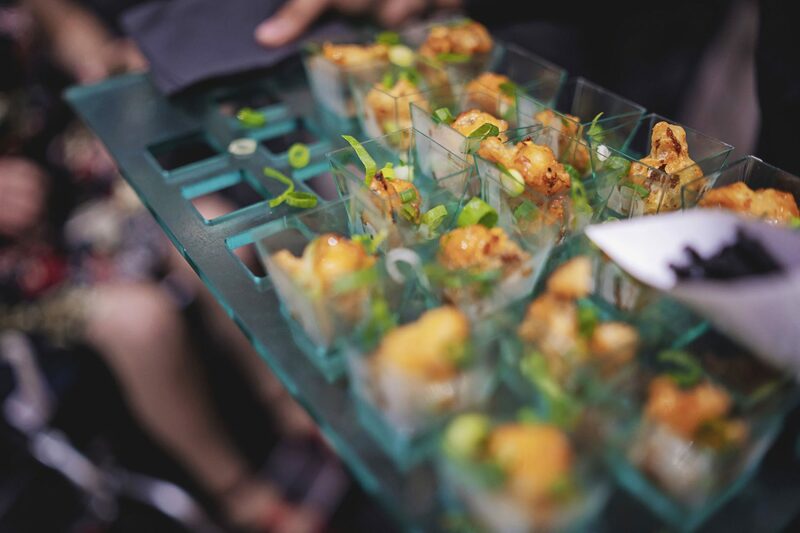 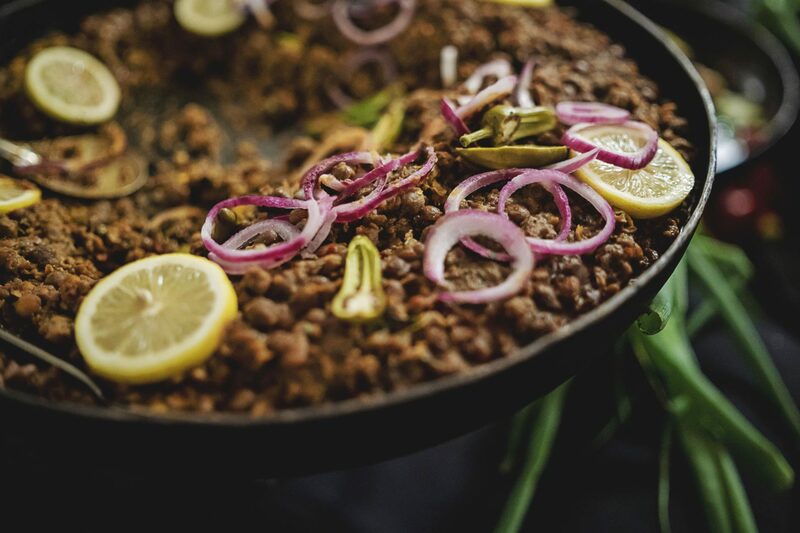 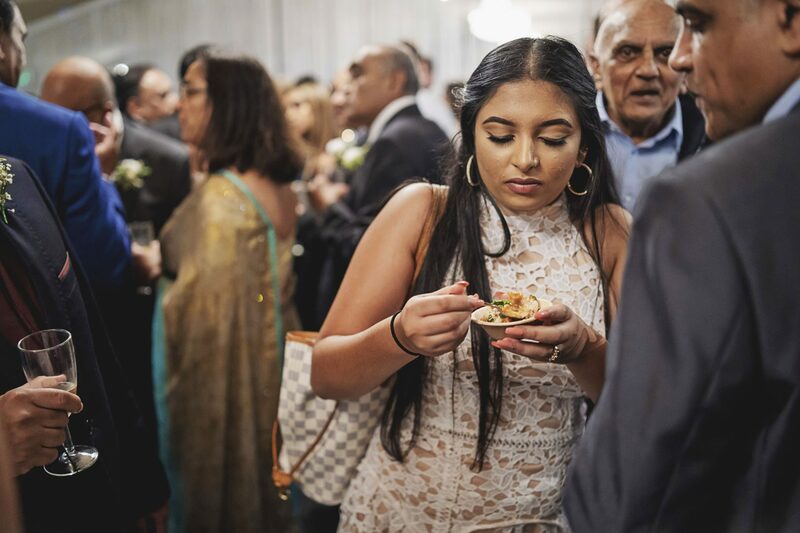 Fantastic food was on the menu and we were lucky enough to try some of the exquisite cuisine supplied by Ragamama Ragasaan. 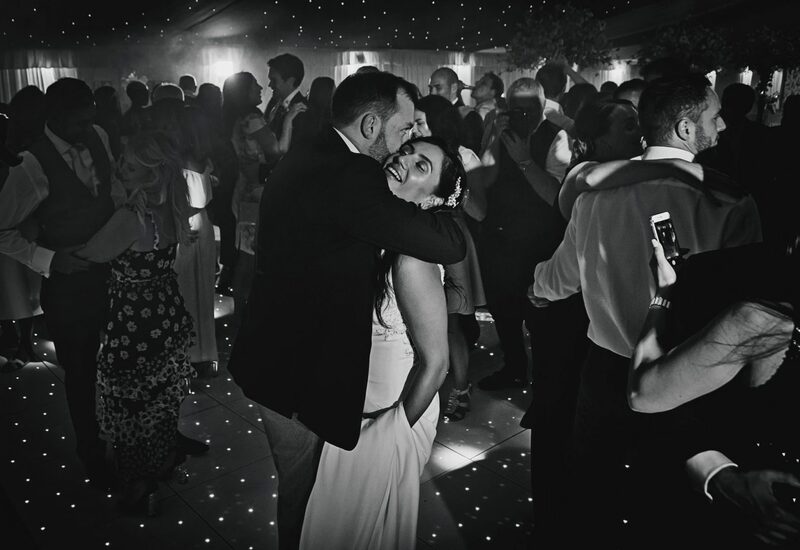 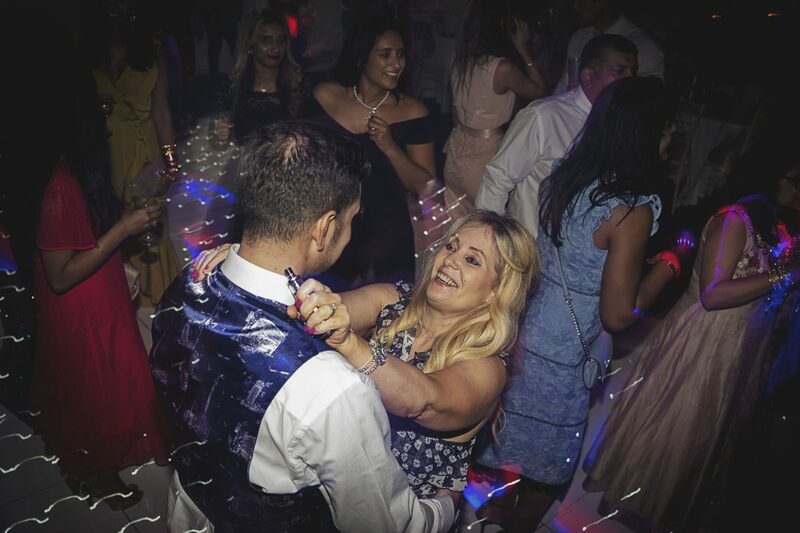 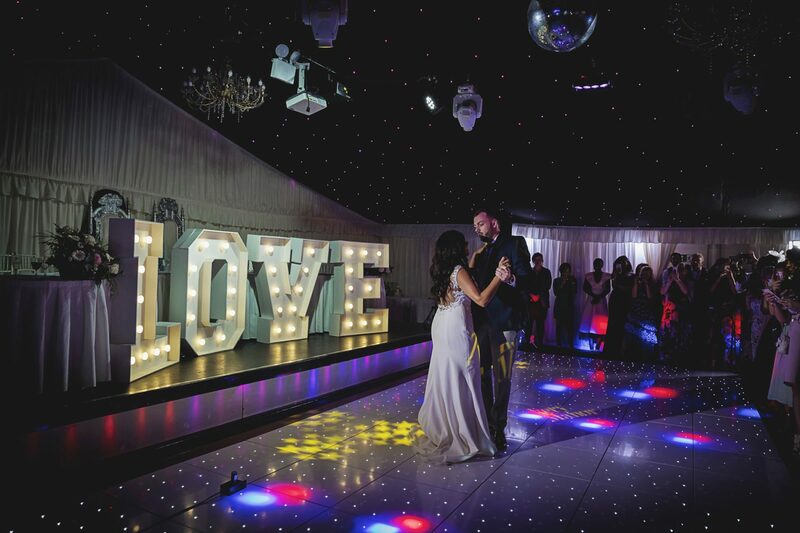 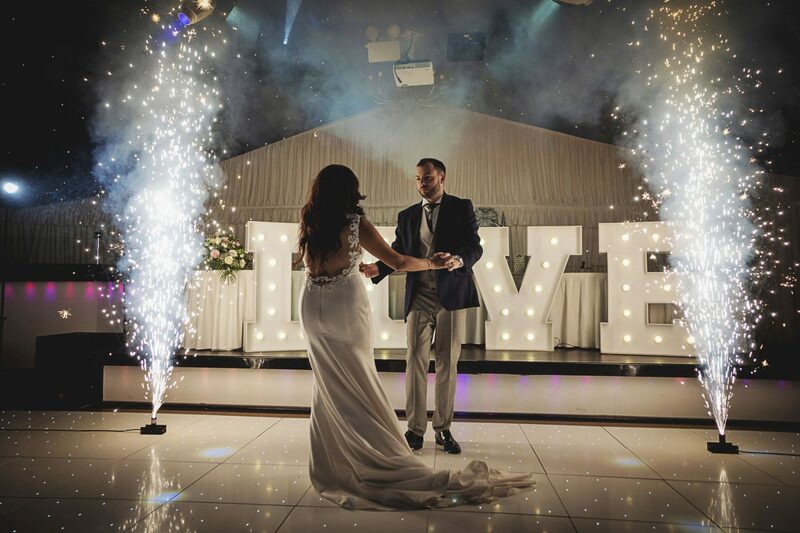 Our day ended with the couples first dance along with the spectacular pyrotechnics, a perfect way to end an awesome day with the help of the very talented videographer Darren Jack. 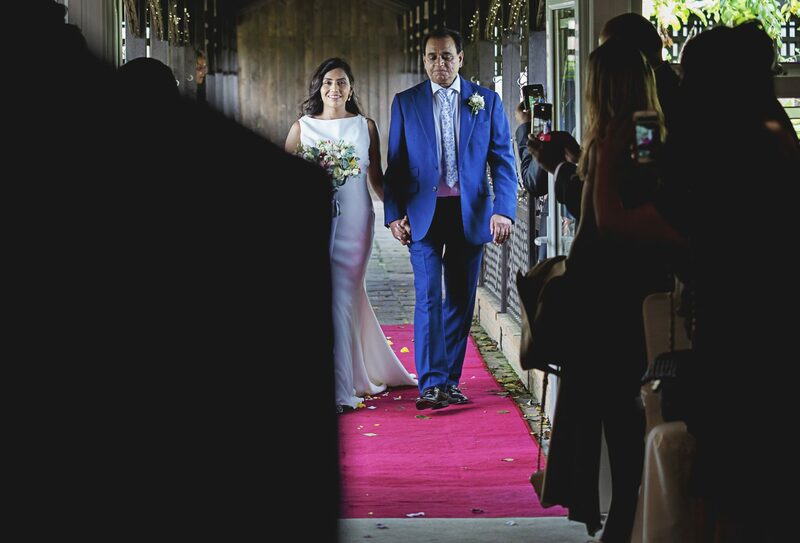 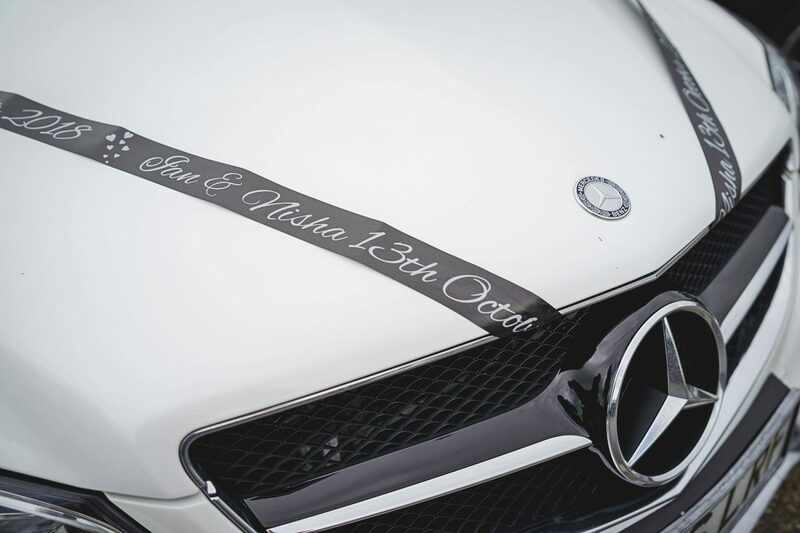 Thank you guys for asking us to share your day.